Anthony Elding is missing for Lincoln, while Darlington will again have to cope with a depleted squad. Anthony Elding is missing for Lincoln, while Darlington boss Dave Penney will again have to cope with a depleted squad. On-loan Crewe striker Elding was sent off after a scuffle with Bury defender Ryan Cresswell in Saturday's 1-1 draw and will start a three-match ban. 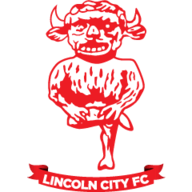 Elding's absence should see either Adrian Patulea or Geoff Horsfield start alongside Ben Wright, who scored the Red Imps' goal against the Shakers. Dany N'Guessan and Aaron Brown will again be included after recovering from the knocks they picked up in last Tuesday's 1-0 victory over Wycombe to successfully come through Saturday's clash. Defender Danny Hone is closing in on a return to training following a knee injury but this week could come too soon for the defender while Lenell John-Lewis is still unavailable following hernia surgery. On-loan striker Paris Simmons remains unavailable as he continues to receive treatment on an ankle injury at parent club Derby. Strikers Pawel Abbott (back) and Gregg Blundell (hamstring) are both out, while Neil Austin, Franz Burgmeier, Robin Hulbert and Tim Ryan are also struggling with injuries. Abbott and Burgmeier are nearing first-team returns, but the trip to Sincil Bank will come too soon. Liam Hatch made a surprise return from a collarbone injury in the 3-1 defeat at Port Vale on Saturday and should be involved again having suffered no ill-effects following his comeback. 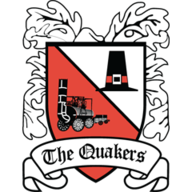 Defender Ryan Valentine will continue in midfield, but Hatch's return to the side means that Rob Purdie can revert to midfield and will no longer be used in a striking role. Administration has hit the Quakers hard, seeing them lose four out of the last five games, while having to trim the squad at the same time.